Currency Converter ($395.00) Convert USD EUR GBP NZD Loading Sorry, there was a probem with the currency conversion. Please try again. Ella always liked drawing as a child, but never started any formal classes until 1978. Since then, she's entered into, and placed (winning the Encouragement Award, as well as 2nd and 3rd Prizes) in the Tweed Heads Rotary Club's Arts Competitions in New South Wales, and has exhibited at the Bedford Art Society, and at Ellis House, in Bayswater. 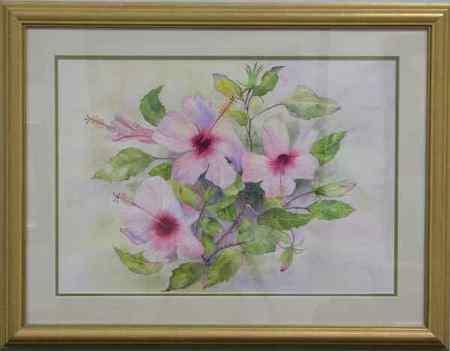 After a period working in oils, she has now settled on watercolour and ink under the tutelage of well known Perth artist and teacher, Ron Tassell.